Throughout the life of a typical American, many important decisions must be made. One of these big decisions involves what type of career to pursue. With so many options in the modern era, it can be difficult to choose which type of career is best for you. If you are someone who enjoys problem-solving, intellectual challenges, and financial security, a career in legal studies may be perfect for you! Here are a few reasons why you should pursue a paralegal degree from an accredited ABA approved school. One advantage of working in the legal field is that there are a wide variety of jobs in which you can work. The most obvious option is to become an attorney, but you can also find success as a paralegal, mediator, judge, or secretary. Legal professionals sometimes even switch between these professions mid-career, leading to an exciting selection of jobs for anyone working in this field. Whether as an attorney, judge, or any other of the options listed above, a career in the field of legal studies provides many intellectual challenges. As a result, it can be perfect for someone who enjoys solving problems and seeking justice. Due to the nature of this line of work, legal professionals must be quick on their feet, always following the new regulations that arise. Between technological advancements and developments in federal and state laws, individuals on this career path must be adaptive and logical, able to adjust properly to the new while researching and resolving legal issues with older precedents. A major draw to this career is the high salaries involved in various positions. At some of the top law firms in America, the starting salary ranges from $150,000 to $180,000, and can stretch up to $1.2 million for some of the top-earning professionals. While it takes several years of schooling to work in some positions in the legal field, the overall payoff is substantial in this large industry that even now is continually expanding. Regardless of which specific role you choose, a legal career might be the perfect fit for you. 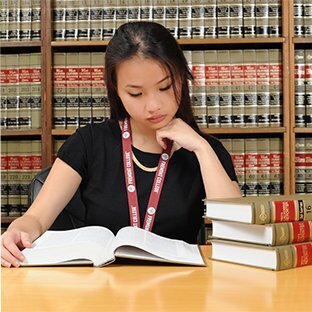 To get started in your legal career, get the right education at Fremont College.